When we pulled up to this joint, we were very, very surprised. It is in a strip mall, in Tustin, in the corner, with no decorations or extra special signage. To be honest, it looked like a dump. Even worse, there was not a single person in the restaurant. 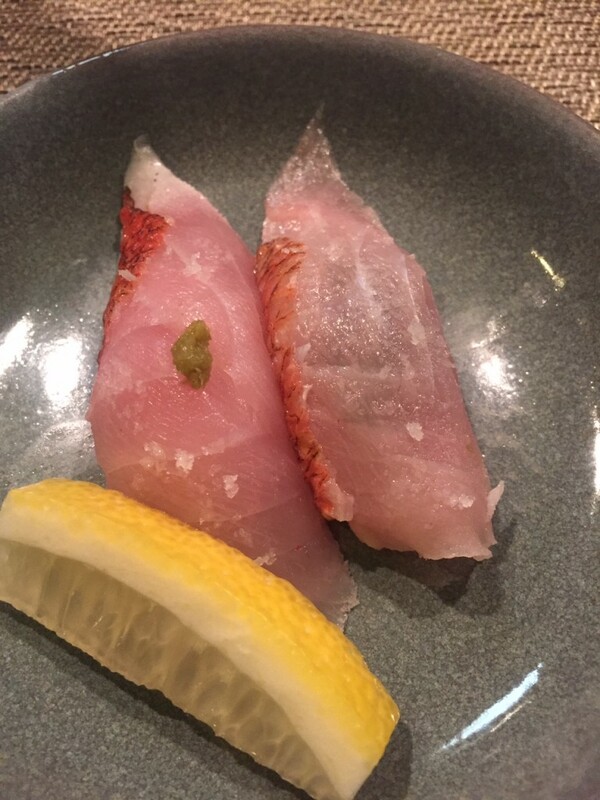 I had made reservations, but we easily sat at the sushi bar, where all they serve is omakase. For those of you who don’t know, omakase means a meal selected by the chef. Luckily, they asked us if there was anything we don’t eat or have an allergy to. After that, the chef takes charge and provides you with whatever was fresh from the fish market that day. The chef and his wife were the only two in the dining room. One of the more interesting things about this place is that every time you get a dish, they tell you where the fish is from. For example, our first sushi dish was from Canada. 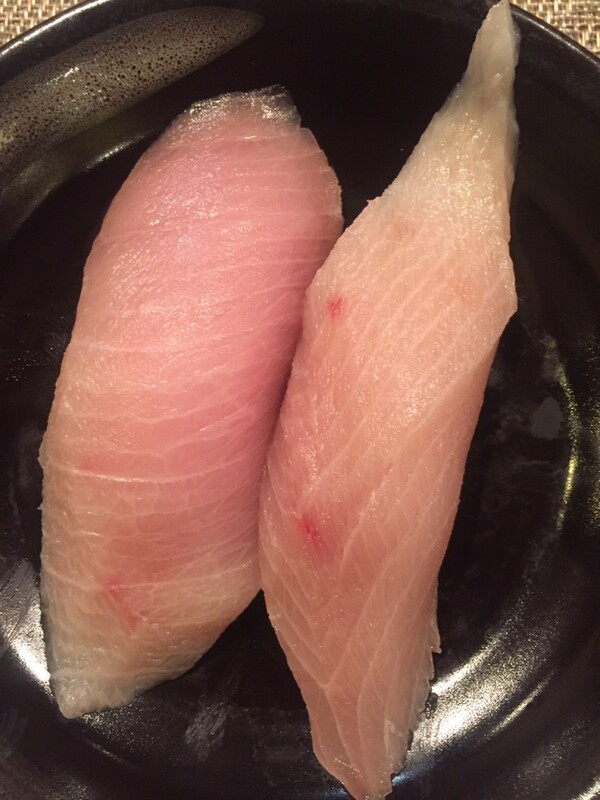 We also had blue fin from Spain, Snapper from Japan, etc. Once you sit down, you are asked what you want to drink, and the chef sets you up with some ginger and wasabi. Then it’s game time. What I liked best about this restaurant was how fresh the fish was, how well it was paired with the sauces, and the amount of fish to rice ratio. 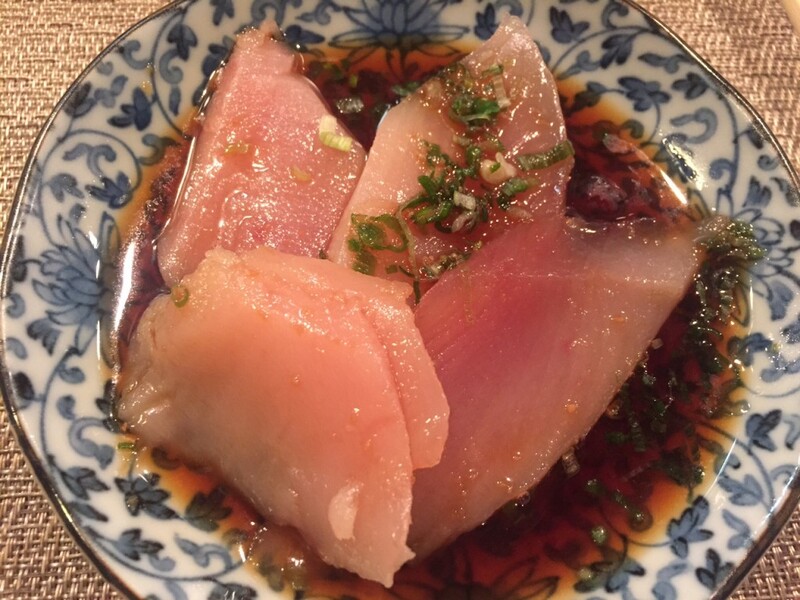 Each dish seemed to follow up with a similar type of fish. 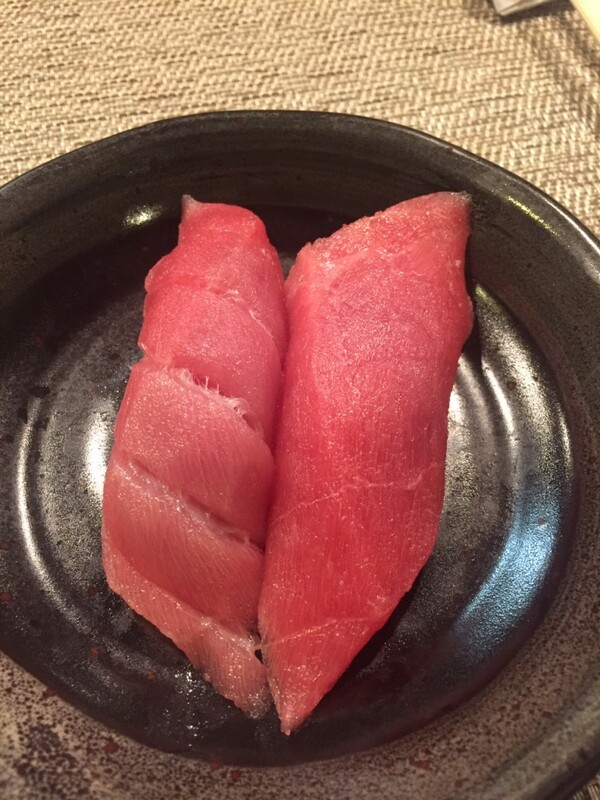 For example, we had albacore tuna sushi, which was then followed by blue fin tuna. Then, we had two types of snapper. Then, baked scallops followed with fresh scallops with lime. 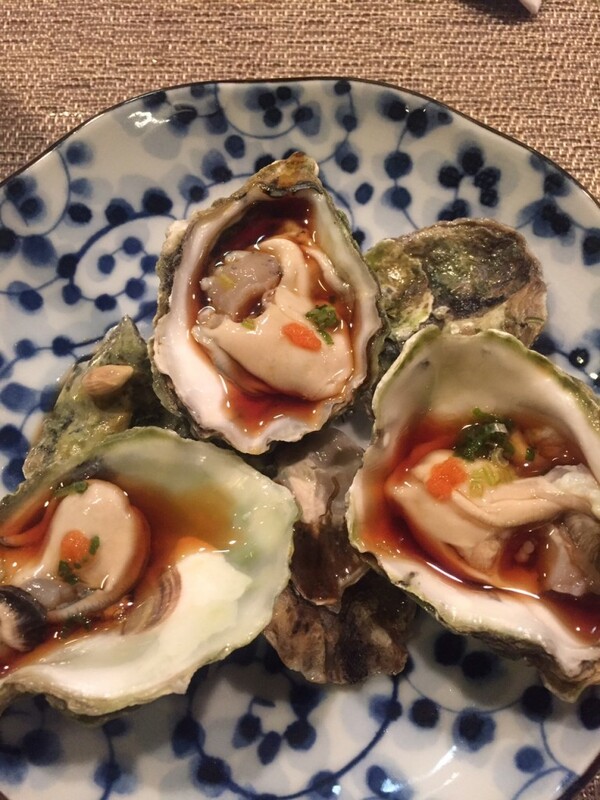 The chef definitely took creativity into mind when he created his omakase menu. My favorite dish was the snapper with lemon. It was so fresh and smooth, and not fatty or stringy at all. In fact, none of the fish was super stringy. Everything was a clean cut, the portions were hefty, and the sauces were not overwhelming. 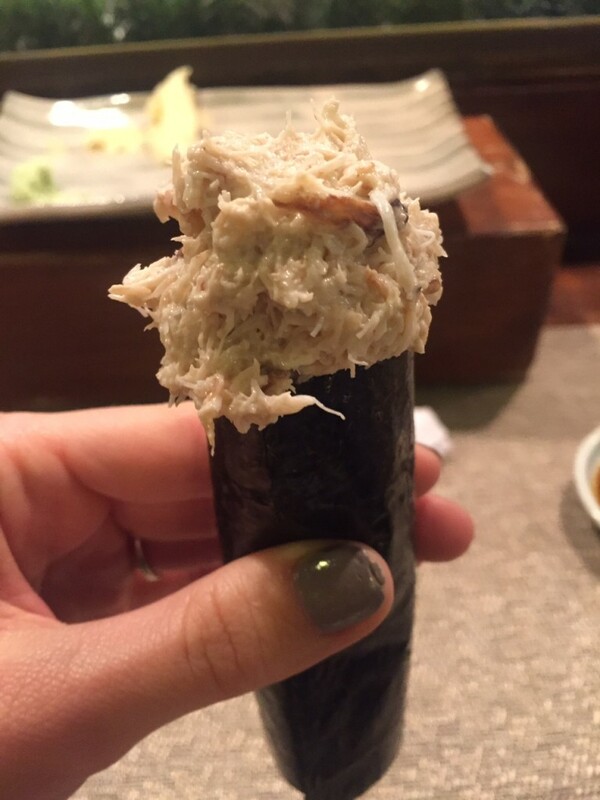 Most people also rave about the blue crab hand roll, which was really good as well. The baked scallops were my least favorite because they were a bit too chewy. Fresh was definitely most satisfactory. The meal ended up costing us quite a penny, but it was a special occasion and we had over 11 different dishes. Because it was omakase we did not see a menu before either, so just expect it to be around $100 per person if you sit at the sushi table. When we were so stuffed we couldn’t eat anymore, we just asked for the bill. The chef was concerned, but we explained that we couldn’t eat a single more bite, and then he laughed. 4.5/5 for fresh sushi, but at a normal expensive price. If you go on the weekends, make reservations as we hear its a lot more crowded. And if chef’s choice isn’t right for you, the dining tables allow for parties to order from the menu. 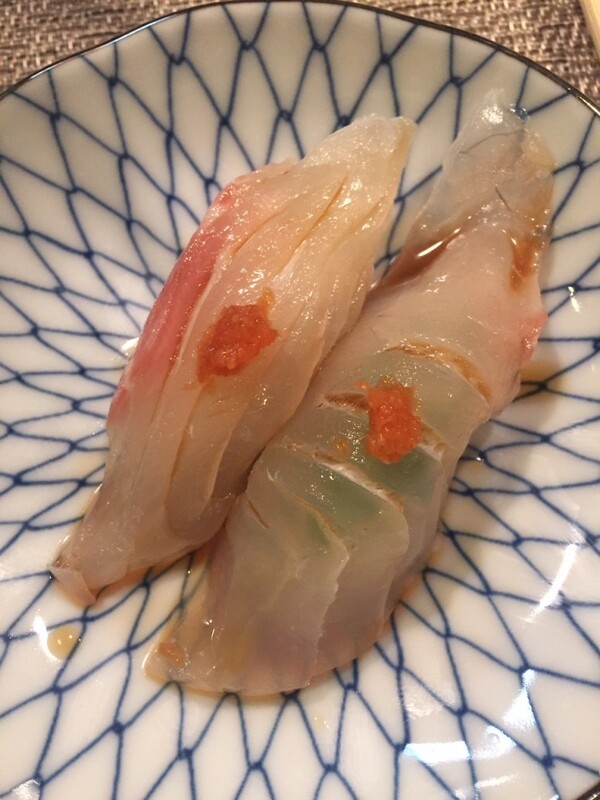 One Response to Oh my goshie its Omakase! Great shots of the fish! I’m going to take the wifey there. Do you use a DSLR camera for your shots?